Manchester City have signed Canada striker Janine Beckie on a one-year contract following her departure from American NWSL side Sky Blue FC. The Colorado-born 23-year-old has also previously played for Seattle Sounders and Houston Dash. She has scored 22 times in 43 senior international appearances since her 2014 debut for Canada. 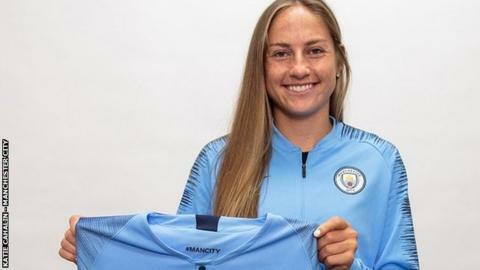 Beckie told City's website: "This is an absolute dream for me, to play for this club I've followed for so many years." Manager Nick Cushing added: "Janine is an exceptional player and her aptitude for scoring goals will give us an additional boost ahead of the new season, which is going to be the most competitive yet."